In this lesson, we will learn how to use circle graphs to analyze data, communicate information, and get insight from this data. The pie chart shows the mathematics exam classifications of 60 students. 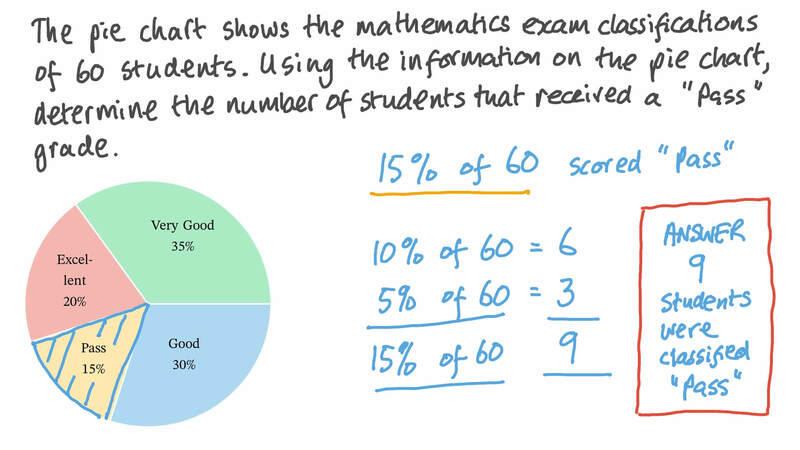 Using the information on the pie chart, determine the number of students that received a pass grade. 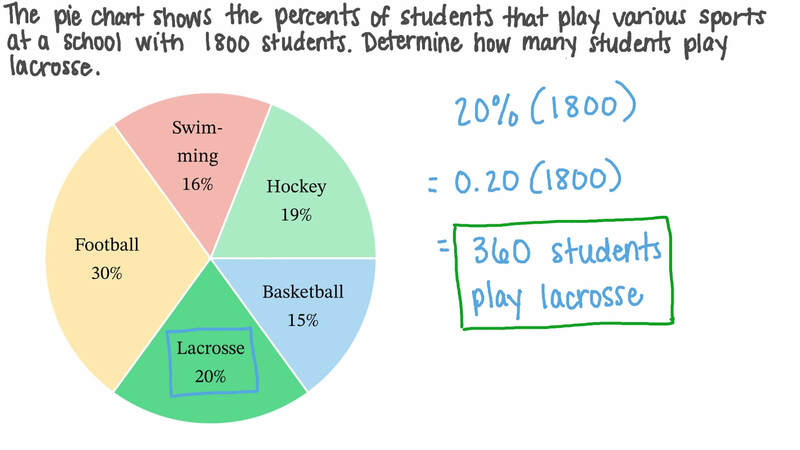 The pie chart shows the percentage of students that play various sports at a school with 1 800 students. Determine how many students play tennis. The pie chart shows the results of a survey on students’ favourite activities at a school. Which two activities make up exactly half of the responses? The pie chart shows the proportions of students in a year group who play basketball, football, and volleyball. Given that there are 108 students in the year, complete the table. The pie chart shows the favourite subjects of students in a class. Using the information given on the pie chart, determine the percentage of students who chose English. The results of a survey on the favourite hobbies of students are shown in the pie chart. What is the measure of the angle of the sector representing swimming? The pie chart shows the results of a survey of what fruits students prefer. Given that 30 students completed the survey, how many students prefer peaches? The pie chart shows the results of a survey of what fruits students prefer. What fraction of students prefer oranges or peaches? A group of 100 people were asked about their favourite sandwiches. The pie chart shows their responses. What percent of the people chose either Cold Cuts or Egg Salad? The pie chart shows the results of a survey of how students travel to school. What is the most common method of travel? 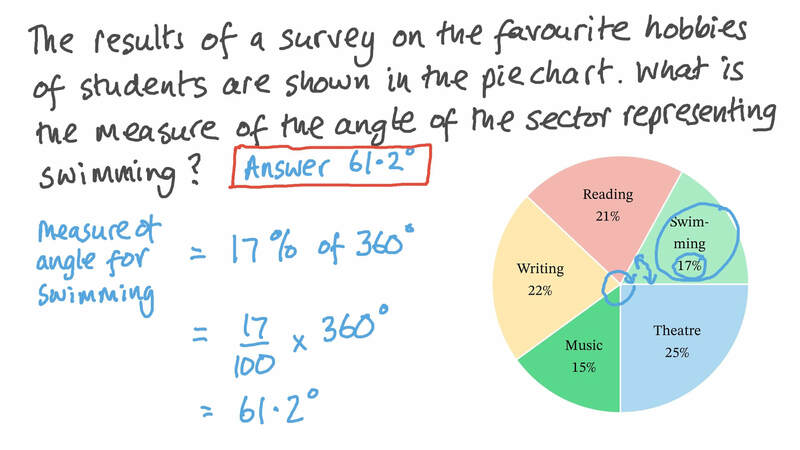 The pie chart shows the results of a survey to find the most popular subject in a school. What percentage of students picked English? The pie chart shows the percentage of students that play various sports at a school. Determine the percentage of the members who prefer squash.